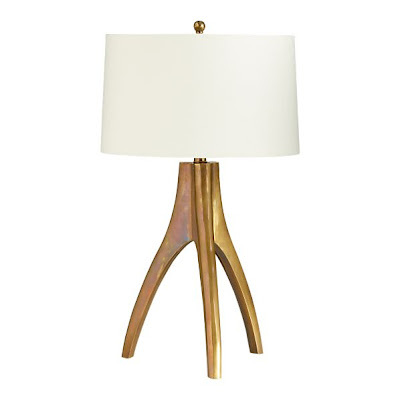 This three legged lamp reminds me a bit of antlers or tree roots. 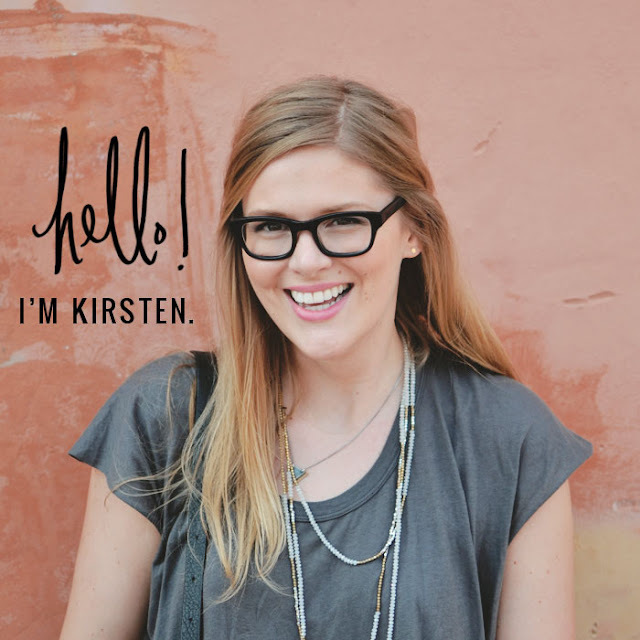 It is a little bit mid-century style mixed with some rustic flavor. It's organic and sculptural, and I love it. 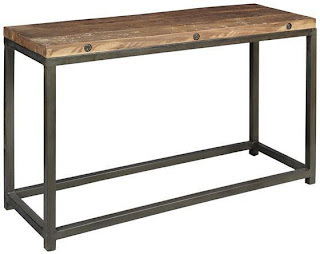 This rustic wood and iron framed console table is both easy on the eyes and wallet. Whenever John and I move out of this pillbox of an apartment, I am surely going to add a piece from this "Holbrook" collection to our decor. Clean lines and simple shapes in a perfect grey clay, these vases and vessels are perfect for holding seasonal blooms. The pierced and distressed metal adds character and interest to this industrial-style mirror frame. 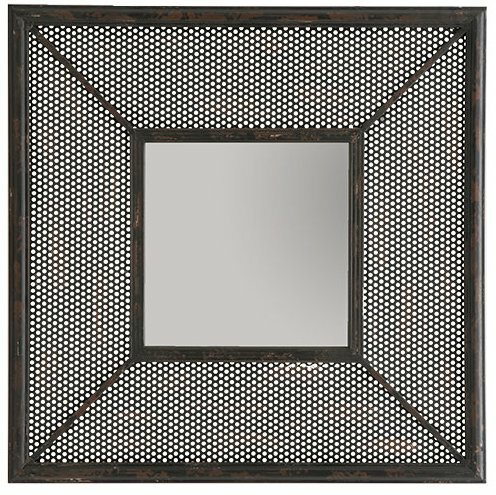 A great way to add some edge to any room. 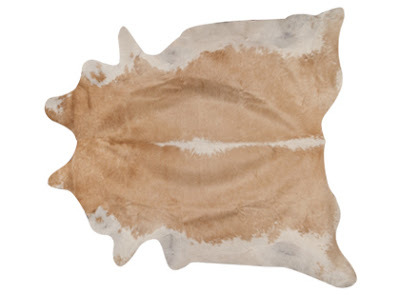 This beautiful blonde colored cowhide rug is a lovely way to add texture to a smaller entryway. Just steer clear (PUN SO INTENDED!) of walking over this with shoes on. While this certainly isn't for everyone (especially PETA people out there) or every space, but this can be an eye-catching accent. This red stool is perfect to sit on when taking shoes and and off - the fun color and industrial lines compliment the rustic vibe well. When looking around UO's site, I also found this shelf and this wire shelving unit (place next to the door as a catch all for in- and outgoing mail) which would be fun things to add into the mix. I've seen that lamp at crate and Barrel before. I love it. This will be one gorgeous entryway - just my cup of tea - love the lamp, the console table, the vases and that stool - basically everything. 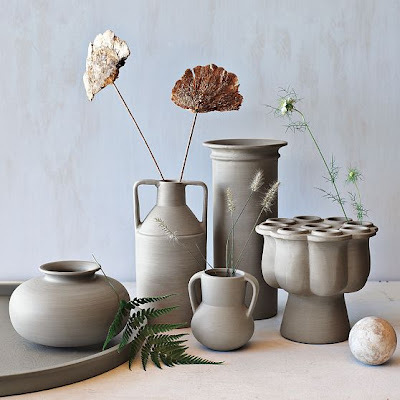 I love the lamp and vases. Way too cute!